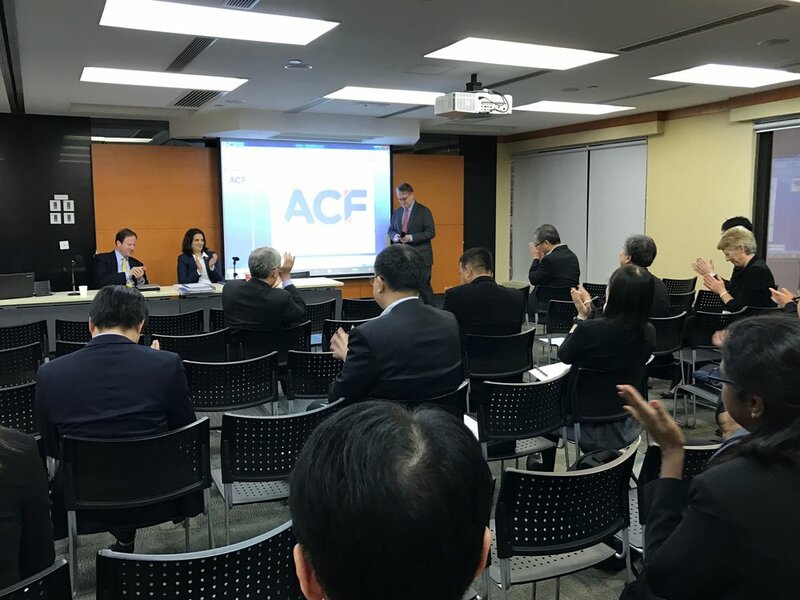 The Asian Competition Forum 12th Annual Conference was held from 5th December to 6th December 2016 at the United Centre, Admiralty, Hong Kong. The conference focused on the interaction between competition law and technological innovation. Technology is continuously advancing, however, is competition law stifling or assisting in this process? Do innovators gain adequate Intellectual Property Rights, and how do those rights affect competition? For both large technology companies and startups alike, the regulation of the market is as pressing as the regulation of technology itself. Bringing together academics, lecturers, large technology companies and lawyers, the conference discussed these issues over the course of two days. In particular, the conference focused on abuse of market dominance in markets, Intellectual Property Rights in relation to competition law and technology regulations effect on stifling competition. These topics were broadly discussed with the overarching question of whether competition in technology is stifled within the Asian market. Finally, if competition is stifling innovation, was there anything more competition authorities can do to assist innovation through competition? For instance, lobbying government, or can taxation and regulation policies assist to foster greater innovation. How viable are these solutions, and will these measures practically result in increased competition?